Here are just a few of the painted utility boxes. The Moose is a favorite here in town. There are Moose sculptures in the park, a Moose sculpture on top of a local commercial building, and various Moose sculptures scattered around to signal the Moose trail that leads to and over Tubbs hill and around other areas. This is a sculpture of Chief Morris Antelope, a Chief of one of the local tribes. This sculpture is along the Centennial trail heading west, just before Hwy 95 crosses it. This is next to the Spokane River. This carved Eagle is in the city park, next to the lake and Centennial trail. You can see Tubbs Hill in the background and also the Rotary Bandstand mentioned in my previous CDA post (link at the bottom). This lyrical sculpture is next to Tubbs Hill, the lake, and lake front grass area that is between Coeur d”Alene resort and the library. 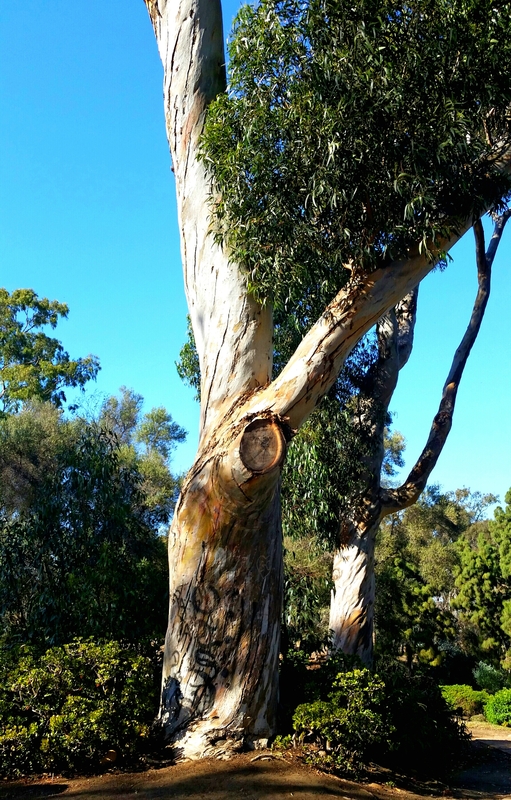 The area has basketball courts, a dog park, a playground, wooden bench swings, and lovely paths to walk. So if you are in the area, come check out this gem of a city. There are numerous lakes north of here, wonderful parks, lots of art, friendly people, and many beautiful places to explore in and around the area. Thanks for taking the time to read my blog, and like it. Please join the conversation and leave a comment. Thanks for joining me on my walks and journey! On a visit to lovely Coeur d’Alene, Idaho, I walked along the lake following the Centennial Trail both east and west of downtown. From the west, the trail follows the river, goes past the University, the city park, Coeur d’Alene resort and marina, the library, through neighborhoods and then next to the golf course, the East part of the CDA resort, past another marina and on. What I’ve enjoyed most about these walks, besides the beauty of the landscape, is how friendly everyone is, from young to old, with most people smiling or saying hello. This is quite different than my experience in Spokane, WA. So….join me on this walk and take in the beauty along with me! This is the Sherman Fort Chapel, built in 1880. There are other original buildings on the North Idaho College campus. This one is next to it. This is a view from the trail, looking south to Coeur d’Alene Lake. The Rotary Bandstand is in the city park. I found this wonderful sign on a wall of the bandstand. This is a part of the marina. On the left of the photo you can see a bit of Tubbs Hill, a wonderful hill with trails. You can access this hill from the west side, seen here and the east side. These sweet reflection photos were taken along the trail east of downtown. Thanks for joining me on this walk. Come check out this wonderful town. I love that it is small, easy to get around, has many restaurants, little shops, art galleries, and during the summer months there are many concerts. I just finished a long road trip from San Diego, CA to Spokane, WA. I divided the trip into 4 days, spending 5 1/2 to 7 hours on the road each day between driving hours and rest/gas stops. I was led to an eastern route along 15, 215, 395, 95, 84, 90 and a few other numbers thrown in there from time to time. The first night on the road, I spent at Independence, CA. When I first drove through town, looking for the Independence Courthouse motel, I thought the town looked deserted, with older buildings. But the motel provided a nice Walking tour guide to the town, and the next morning I started out early to walk around some before getting into the car and driving for hours. I’m glad I did as I changed my opinion and valued that the town had decided to maintain its historic buildings and celebrate it rather than tear it down for gloss and tourists. Independence is the county seat of Inyo county. It started originally north of town as a camp and then Fort, during the pioneer days, It is on highway 395, 41 miles southeast of Bishop, CA. It sits at 3,930 feet, with warm summers, cool winters and high desert landscape. It is a refueling place for those hiking the Pacific Coast Trail from Mexico to Canada, is close to Yosemite and Sequoia National Forest, Mt. Whitney, John Muir Wilderness, all along the Sierra Nevada Mountains to the west, and Death Valley to the east. Hiking, fishing and sight seeing abound here. This town is small with a 2010 population of 669. The town is also close to Manzanar, which was a “relocation” center for Japanese US citizens during World War 2 (ie: internment camp). Sierra Nevada to the West…. ….and Death Valley and more mountains to the East. The Motel ( a sweet, clean, no frills small town motel) is on N. Edwards street, the main street in town. It is across the street from the Inyo County Courthouse, circa 1922, the 4th courthouse to be used. The first was lost in the 1872 earthquake, the 2nd destroyed by fire, the third outgrown by the early 1922’s. I passed this wonderful Victorian looking building. I’m not sure if it is a refurbished historic building or just made to look like one. It was up for lease and it looks like such a great place for a B and B, restaurant, etc. Turning right onto W. Market street, I passed by these lovely CA Coastal Live Oak Trees. The next historic site was the home of Mary Austin, circa 1902, still on W. Market St. . In 1903 she wrote the book ” The Land of Little Rain”, a classic collection of sketches patterned on life between the Sierra Nevada and Death Valley. Across the street from that house stands a giant Sequoia, which gets decorated for Christmas each year. and took this great shot of Onion Valley Road heading into the Sierra Nevada mountains. I walked back up W. Market a few blocks and turned right onto N. Webster, then headed east on W. Kearsarge St. to walk by the Camp Independence Hospital building, reconstructed at its present site in 1887. Many of these old buildings are now private residences. I continued walking east on W. Kearsarge and by the old commercial building now containing the Still Life Cafe. No restaurants were open the night I was there so it was bring along food for dinner for me. And lastly, I stopped to see the oldest building in Independence, the Edwards house , cica 1865, also on W. Market street. 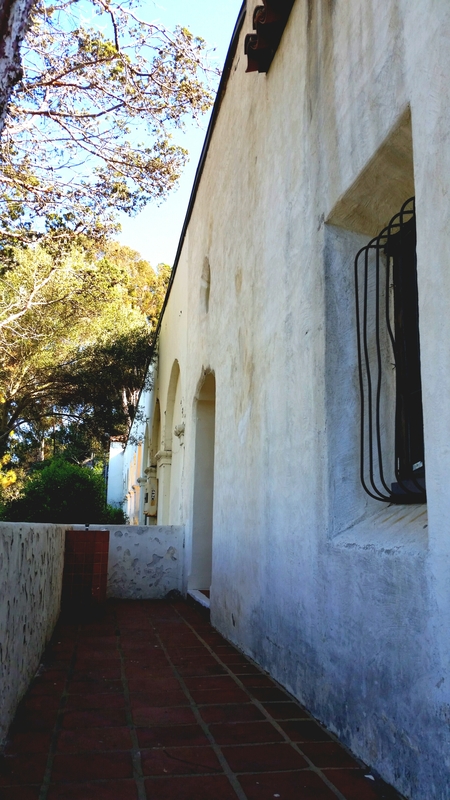 It was originally built with adobe and later covered with siding. I took this last photo on my way out of town, another shot of the stunning Sierra Nevada mountains. Hope you enjoyed our walk and your introduction to Independence, CA. Come check it out! If you enjoyed the post, please “like” it and/or leave a comment, and sign up to follow if you’d like to join me on more adventures. Thanks to Wikipedia and the wonderful “Discover Independence” Walking tour booklet produced by the Independence Civic Club and Friends of the Eastern California Museum. I enjoy this blog. She and her husband renovated a house in France and live there with her family. Sometimes the posts are about food or something about their house, sometimes it is about places they travel to or visit. This post has wonderful insect photographs, among other beautiful scenes as well. Enjoy! What do the subjects in these two photos have in common? Hello All! A few weeks ago, I finally made it to Chicano Park. 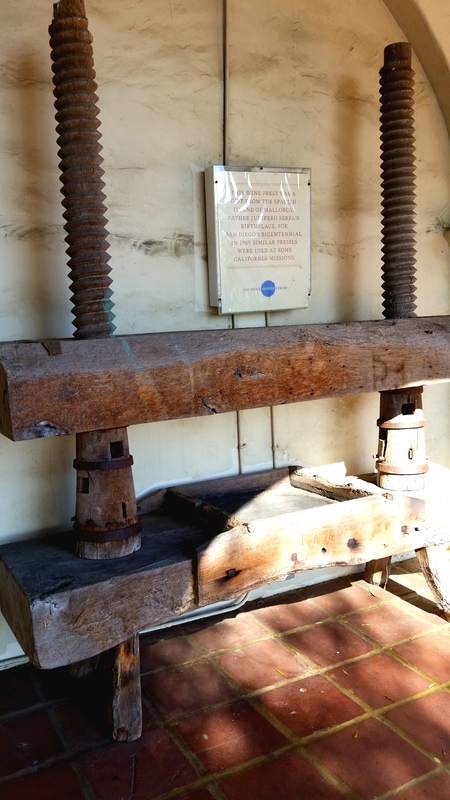 I had read about it in another wordpress blog, Cool San Diego Sights. The art work fascinated me. I love art so wanted to see the outdoor murals but also since I grew up in Southern AZ, I’ve always been close to the Latino community. I worked with Central American Refuges starting in 1986 and ending in near the end of 1997, so am sensitive to the plight of immigrants, and had been since childhood. The park is now 7.9 acres and includes a skate park, playgrounds, picnic tables, various community buildings and the largest outdoor mural collection in the country. On April 22nd every year, Chicano Park day is celebrated to commemorate the day the militant, but non-violent, people’s land take over that led to the city and state finally agreeing to let the community make something beautiful where this concrete monster had taken over their Barrio. I took many photos so this subject will take two posts! The first photo states “All the Way to the Bay”. The Barrio used to extend all the way to the bay but then the bay was taken over by the Navy and defense industries. This mural states ” Let me say at the risk of seeming ridiculous that the true revolutionary is guided by great feelings of love” Che Guveara. The next two photos are part of the same structure. 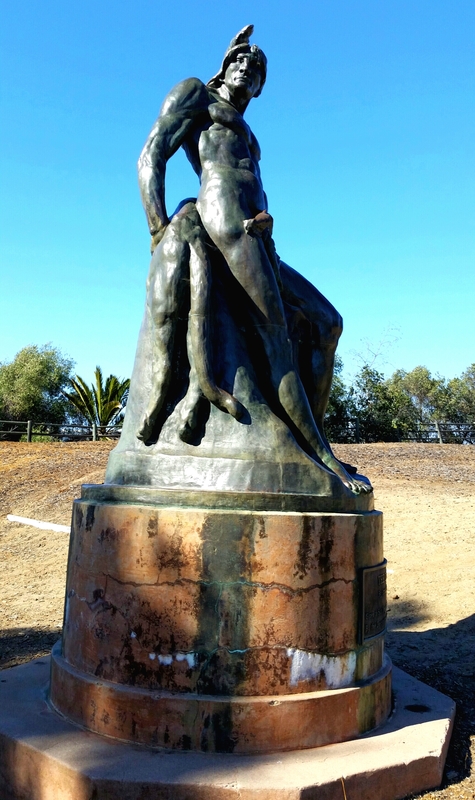 Throughout the park there are images that reflect all the cultures that make up the Chicano culture. This next mural states ” The V in Barrio symbolizes victory over environmental conditions. ! Varrio Si Yonkes No! (yonkes is the word for junkyards, as junkyards took over the Barrio along with other industrialization) Represents the intent of our community to take back our environment from industry. With the uplifting of the Barrio, the people as well must be uplifted, or the Renaissance is not complete. Los Vatos Al Varrio. This mural states it was painted in 1977 and gives the list of artists. 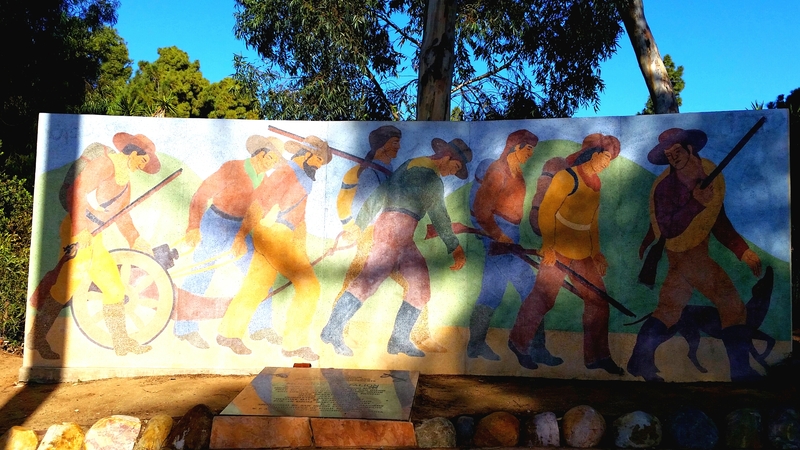 This is another mural that shows the struggle of the immigrant worker and the fight for justice. In the background you can see the Strength Thru Unity mural. Here’s a very colorful one….Parque Chicano. The next one is a San Diego Community Project. It was created on 4-23-93 the day that Cesar Chavez died. 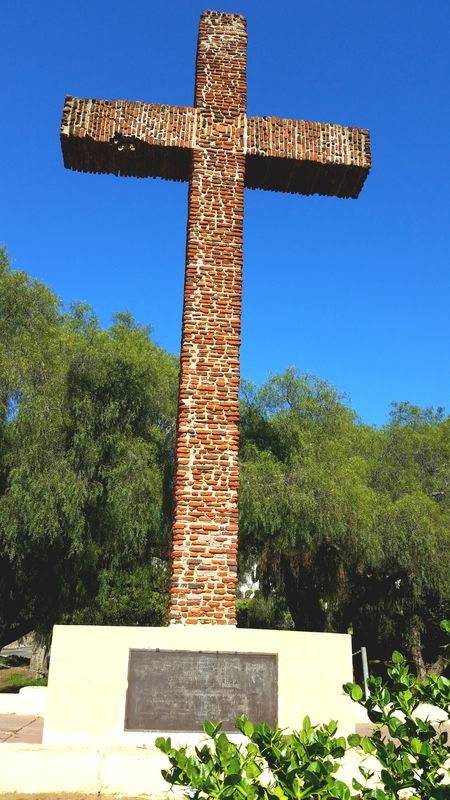 On the cross beams it states “Para Raza” and “Humana/Paz” and “Justica” and lastly ” We are not a minority”. The mural also honors Chicano Park artist Roger Lucero 1953-1992. I took photos of two of the other sides and the cross beams. One states “Stop the Violence”. This next mural was done by Lowell muralists on April 22, 1983. I’m not sure what group this next mural is depicting. The link above leads to a full description of each mural and its artists. And lastly, I’ll share the “Hasta La Bahia” mural. 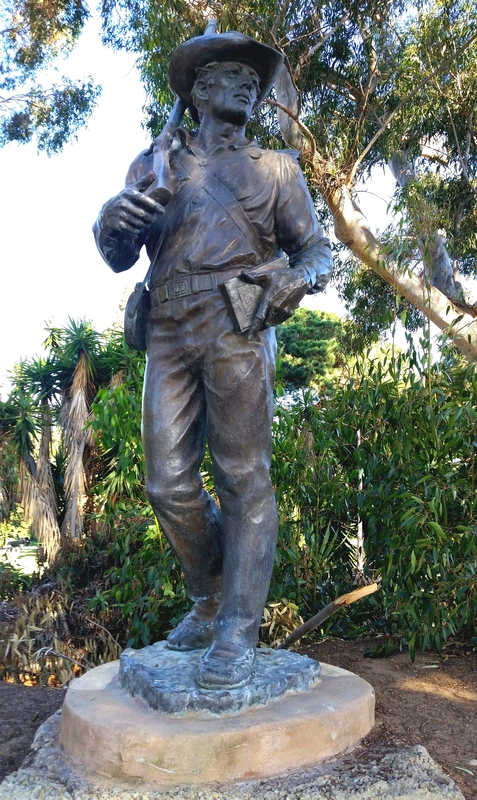 Here is a statue of General Emiliano Zapata, 8/8/1879 – 4/10/1919, who was instrumental in the Mexican Revolution. Hope you’ve enjoyed this journey with me. 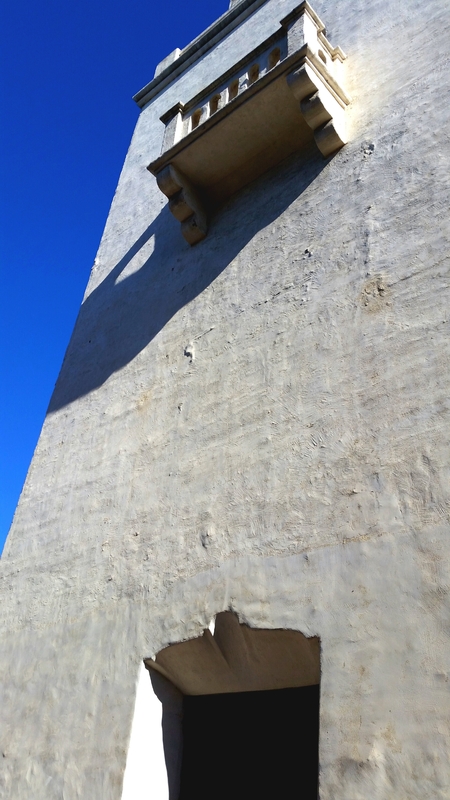 While there I was walking around just wowed by the artists and the beauty they created within a mass of concrete. I hope you get a chance to come check it out yourself. There are many more murals. I’ll be back with more photos! Weeks ago, I went to the Mingei Museum, at Balboa Park, in San Diego, CA. They had this wonderful display entitled ” Made in America: Craft Icons of the 50 States.”. It was a wonderful display and I have some photos to share with you. Please come check it out if you are in the area. February is 1/2 off museum month and you can pick up a pass at any Macy’s store during the month of Feb.. I also went to the Museum of Art and loved their “The Art of Music” exhibit. The first one is a “Signature Quilt”. Here is a close up view. I thought perhaps each person had signed the quilt piece and then the signature was embroidered, but then realized that the penmanship was the same for all the signatures. The next quilt is another signature quilt. The third quilt is another signature quilt made by Elizabeth Dorks Nettle in 1891. Next is a photo of an Oglala Lakota Beaded Vest made in 1928 at Pine Ridge Reservation in South Dakota. And a beaded cradle board made by Todd Yellow Cloud in 1993, at Pine Ridge. This lovely Navajo Yei’s Vessel was made by Mary Holiday Black, in 2007, in Monument Valley. This is a Navajo rug made in 1910-1920, “Corn with Birds.” The Dough bowl is a late 20th century beauty made at the Santa Domingo Pueblo in New Mexico. Amazing Balboa Park chalk art at Little Italy’s Festa! I remember seeing photos of this event last year, on Richard’s blog. Amazing art work! This event takes place yearly in the Little Italy section of San Diego, CA. Amazing artist at 2015 Festa in San Diego’s Little Italy. Smiling, she shows me the source material for her Balboa Park themed chalk art! Brace yourself! Here come dozens of super cool photos! Check out the amazing chalk art created today for 2015 Festa in San Diego’s Little Italy! The special theme this year is the centennial of Balboa Park! Gesso Italiano chalk art is a tradition at Little Italy’s Festa, and every year I’m blown away by all the colorful creations. Most of the images this year are inspired by beautiful Balboa Park, or paintings or artifacts contained in its museums. I arrived to take photos about an hour before the event opened, and many artists were still hard at work. I spoke to one who said their masterpiece took about seven hours to complete. Now that’s dedication to art! 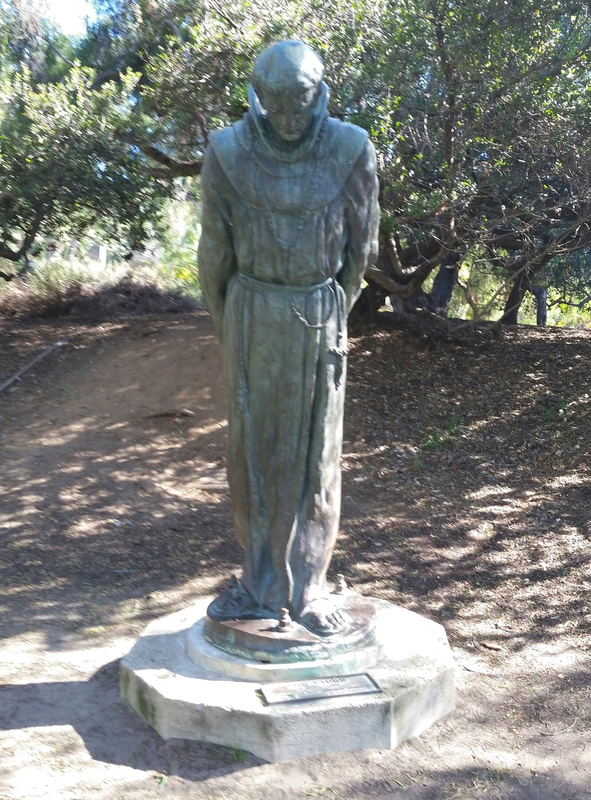 April 30th, I explored parts of Presidio Park and the Serra Museum. The museum wasn’t open so I walked around it, taking pictures of it. I found out later that it is only open on the weekends right now. I hope you enjoy these photos! 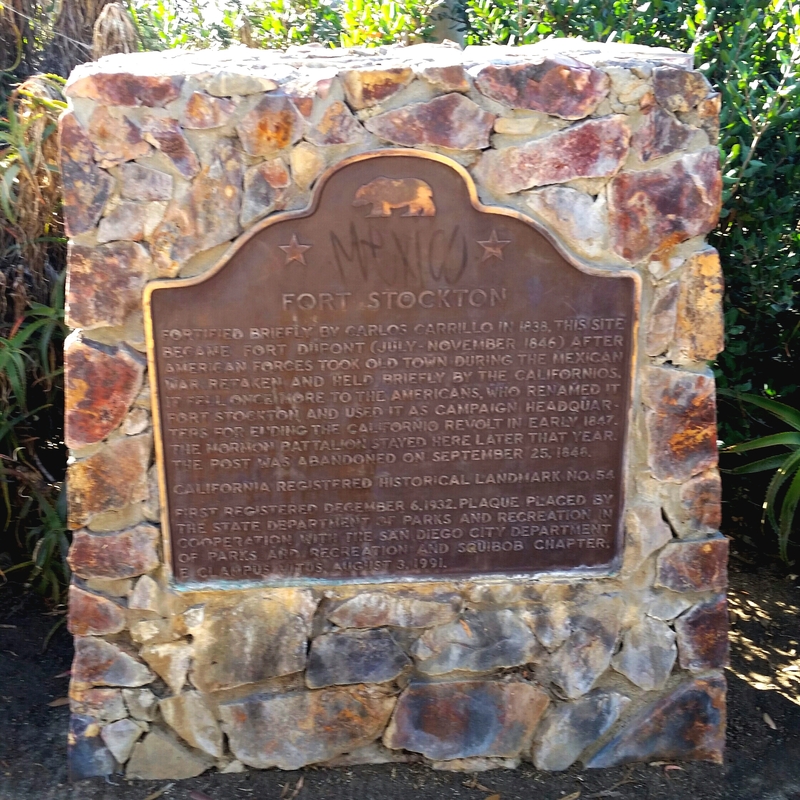 In 1769, a Spanish Franciscan missionary, along with a group of soldiers led by Gaspa de Portola established Alta California, at this site. 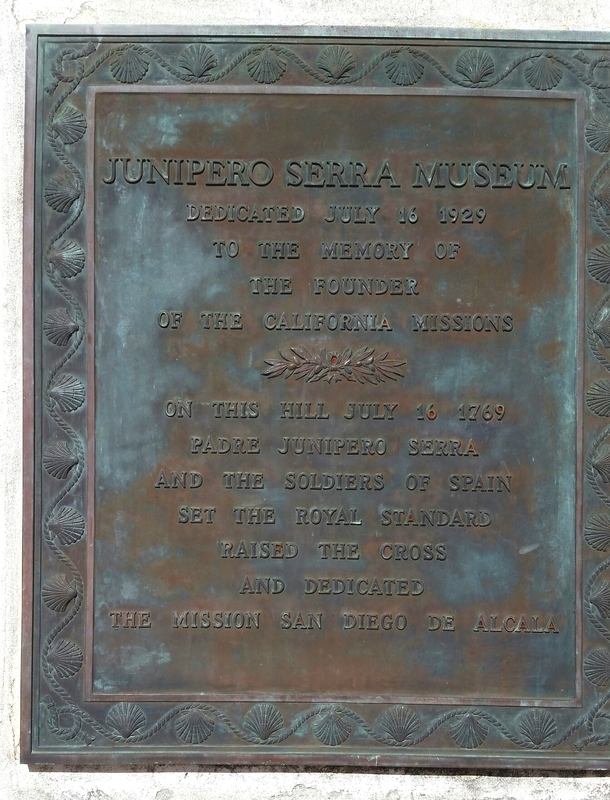 This was the first mission and fort (Presidio) established in CA and is considered the site where San Diego began. I also read reports that stated it was the first site to establish California. 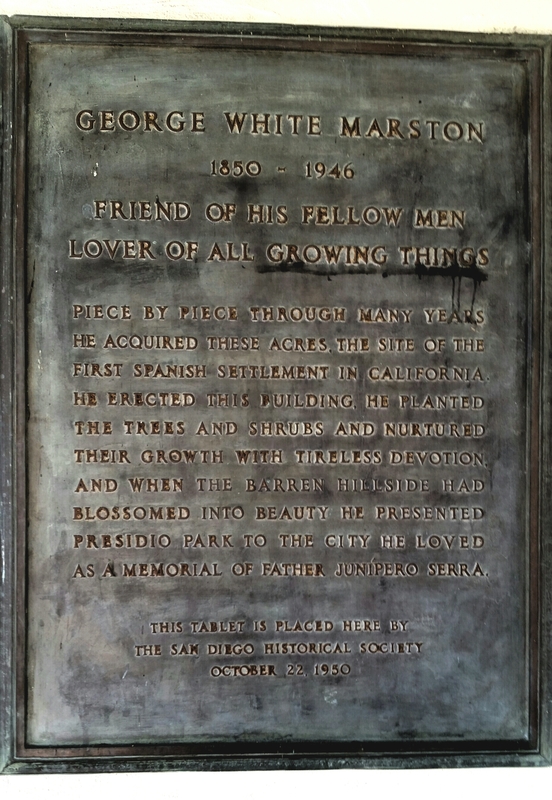 The mission was moved in 1773 to another site east of here, as it had a more ready access to water. Presidio park consists of 40 acres. 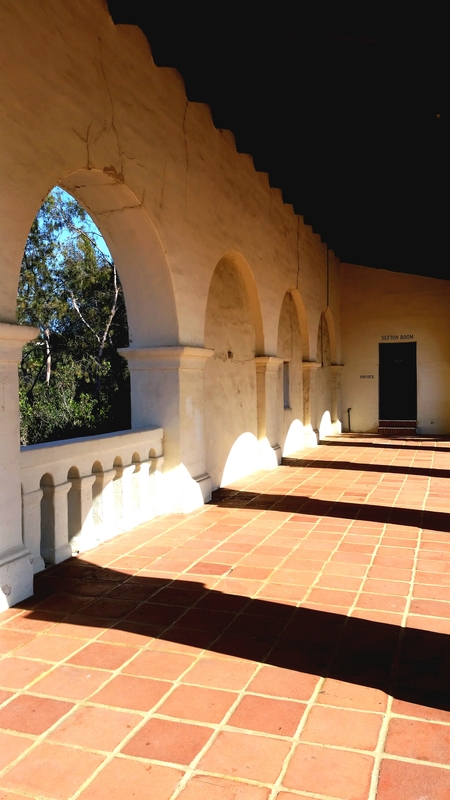 This land was originally the home of the Kumeyaay Indians, who strongly resisted Christianity. 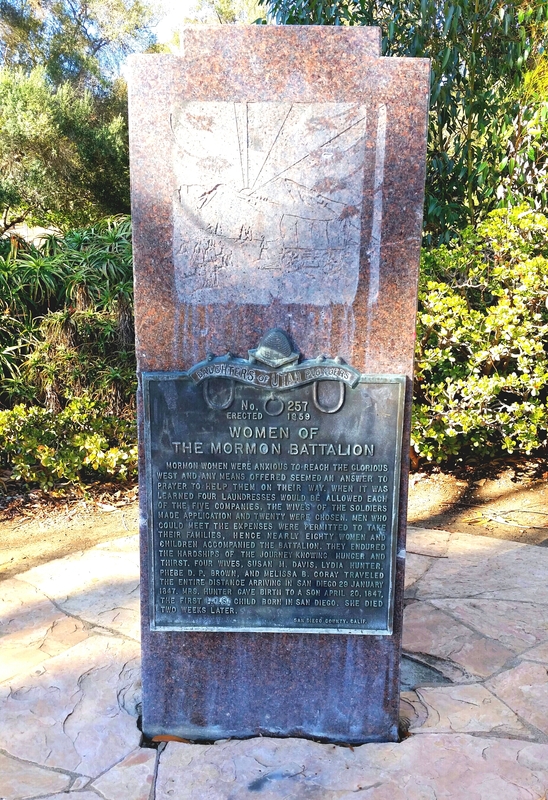 They gave up their land and the mission and fort were built. 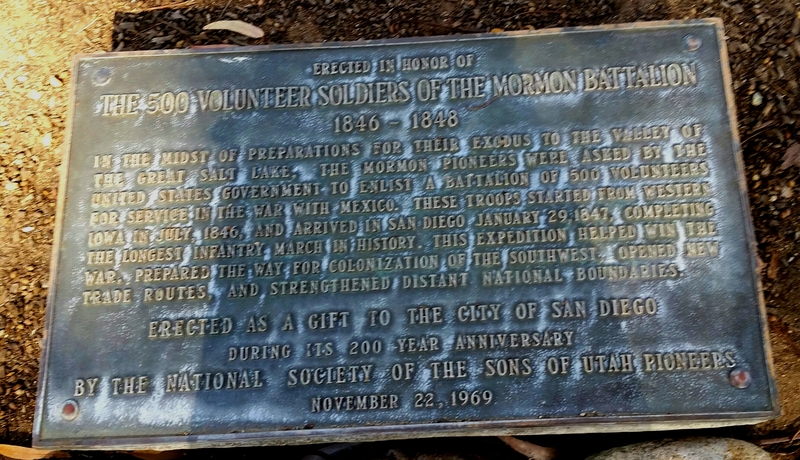 There was a battalion of Mormons who arrived in San Diego, in 1847, to help the military. 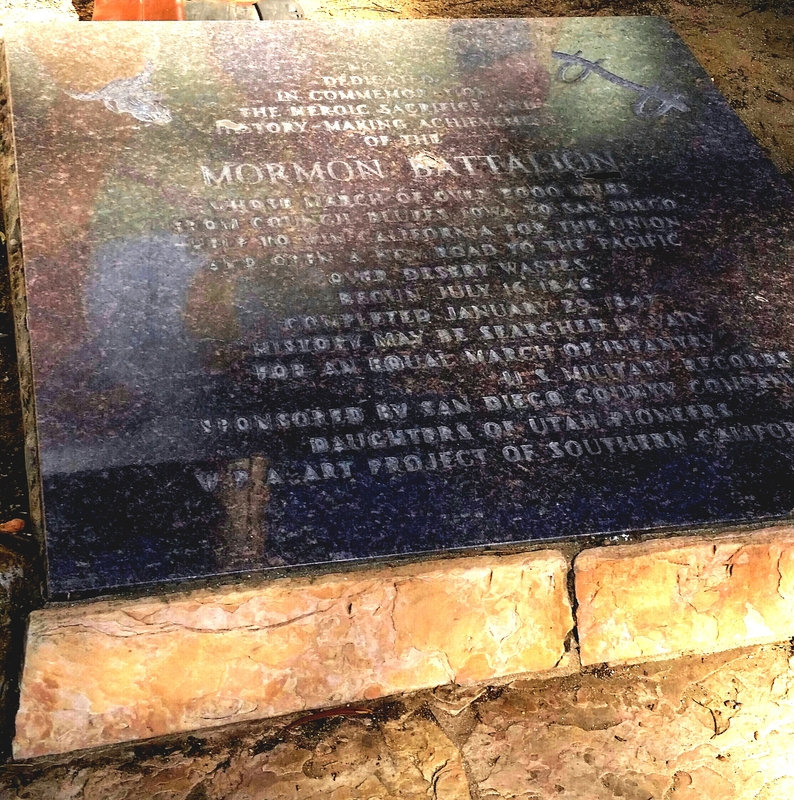 They brought with them irrigation knowledge and brick making knowledge and helped create more friendly relations with the Indians and other indigenous cultures. 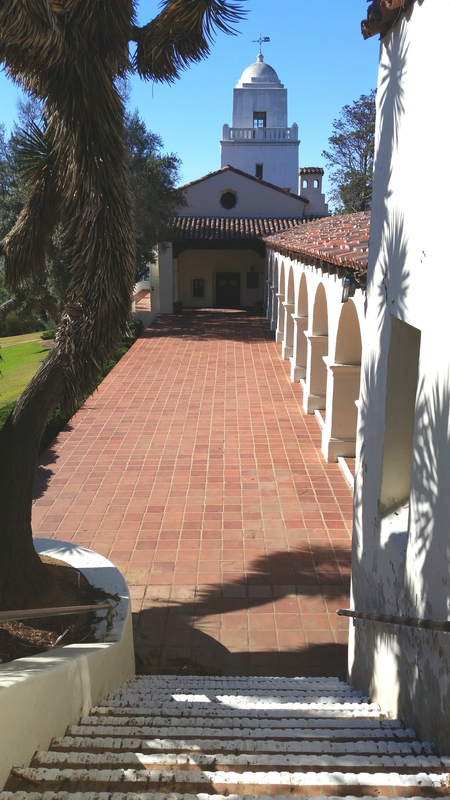 In 1928-1929, the Serra Museum was built to house and showcase the collections of the San Diego History Center. William Templeton Johnson, the architect, chose the Spanish revival architecture to align with the buildings designed in Balboa Park for the Panama-California exposition. The History Center was started by George Marston, a local business owner and philanthropist, who built the museum and donated it and the land to the city. 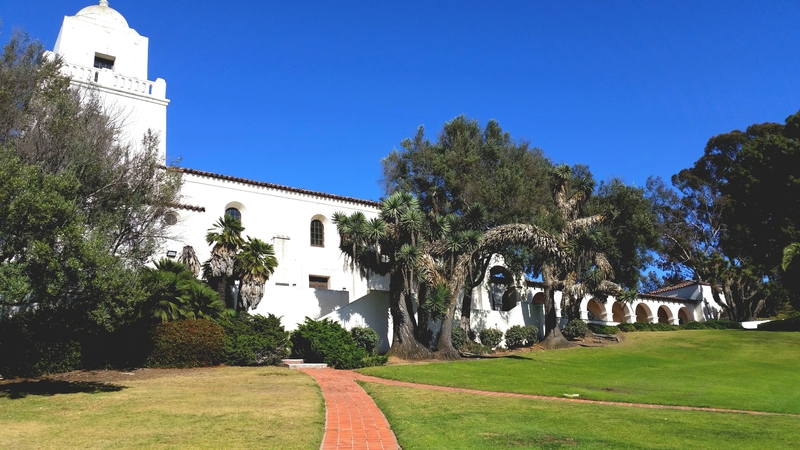 In 1982 the San Diego History Center moved to Balboa park and now the Serra Museum is used as an auxiliary museum and educational center. The museum is also rented out for various events. 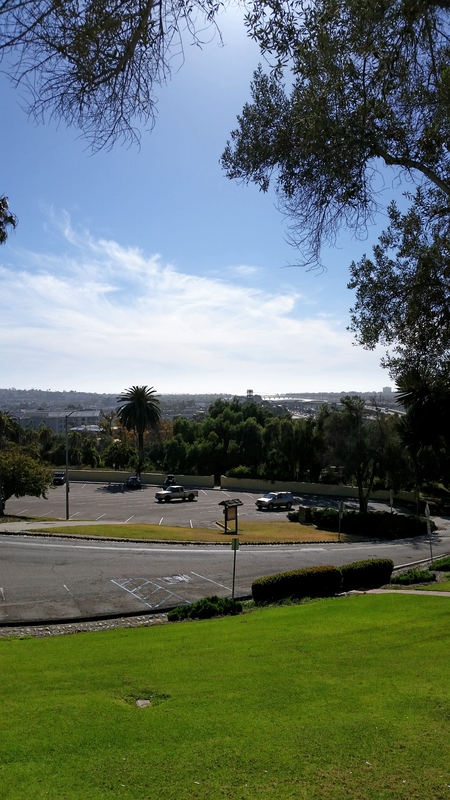 View west from the museum (ocean in the distance), and the view of the west side of the museum. All in all, even though I didn’t get into the museum, it was a lovely walk, with hills to climb. I’ve heard that the hiking/walking trails in the area are wonderful, too, and there are picnic tables in some areas, plus lots of grass to lay down on for rest and reading. So come check it out!! !